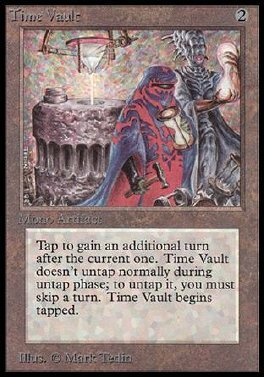 Time Vault comes into play tapped. If Time Vault would become untapped, instead choose one - untap Time Vault and you skip your next turn; or Time Vault remains tapped. T Take an extra turn after this one.